Add more life to your life. When you’re in pain, especially chronic pain, you need hope. And hope comes from finding real answers to real health issues. 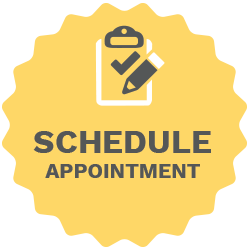 At Impact Clinic, we offer honest, results-based chiropractic solutions to your pain. We are passionate about helping you find healing and wholeness so you can live your life to the fullest. Come meet Dr. Tim and the rest of the Impact Clinic chiropractic family and find the hope you’ve been seeking. Dr. Tim is amazing! Such a great place and great staff! I've been seeing Dr. Tim many years. 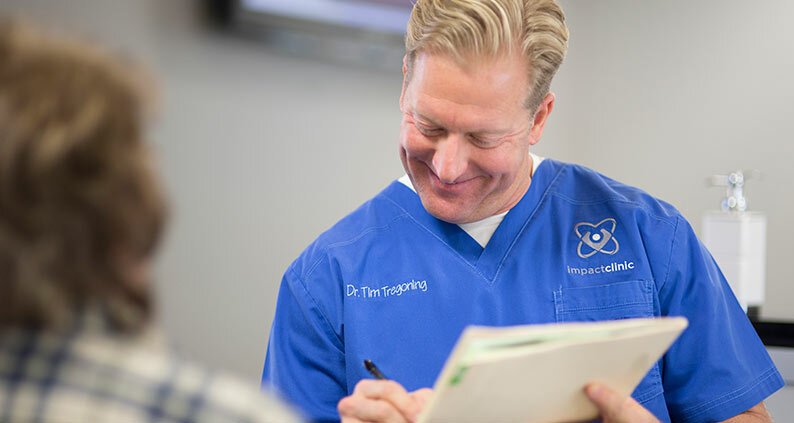 I was a skeptic of what the benefits were prior to meeting with any chiropractor, but after my first appointment (20 years ago) with Dr. Tregoning after a car wreck, I am a believer in the work he and his team provides! If not for him, I would not trust chiropractic care. I send all my friends and family his way. I absolutely recommend Dr. Tim and the staff at Impact. I can say with complete honestly that they have changed my life. My sister recommended Dr. Tim when I'd hurt so bad my right hand couldn't make a fist, nor could I stand with correct posture. So much pain. Dr. Tim and his staff took such wonderful care of me, at a VERY reasonable price, and made all the difference. They are positive, upbeat, positively wonderful people to be around. Truly a comfort when you're in pain. Dr. Tim is magic! I can't say enough wonderful things about each person there! Trust Dr Tim entirely with the chiropractor needs of not only myself, but the needs of my wife and 2 children! The staff here is amazing as well! Absolutely wonderful staff! Tim is a godsend. I Highly recommend this place! Dr. Tim has worked wonders for my neck. Impact Clinic is the best because he doesn't just look at you as a case subject. He looks at you as a person in pain. I'm only giving it 5 stars because I couldn't give more. Go see Dr. Tregoning! This is a really great place! Dr. Tim is one of the most humble people in the chiropractic business, I HIGHLY recommend you check out their clinic as soon as you can!!! Dr Tim has been a real blessing in my life bringing healing forth through the treatments. His Staff has been great too. They all have been very caring. I would recommend Dr Tim to anyone. First of all I would like to Thank the Lord for leading me to Dr Tim and his staff. They are such wonderful caring people and full of integrity. They mean it with all their hearts when they say they want you to be well. Dr Tim is a very anointed man of God and God uses him to bring us His miracles. I especially love and adore his sweet dog named Zeke he always makes you feel welcomed and loved. As a second-generation chiropractor, I’ve seen how miraculous of a change spinal alignment can make in a person’s quality of life. When the body is whole and functioning as it was designed, a person is then freed to achieve, accomplish, and experience all of life’s possibilities. Being burdened by pain and immobility makes this extremely difficult, if not impossible. That’s why I love what I do. I’m helping people bring more living back into their life.